Today on History Undressed I am pleased to introduce you to historical romance author, Ann Lethbridge, and the fascinating topic of hot houses! Before a couple years ago, I thought the concept of hot houses was relatively new--ie, hot house tomatoes. Did you know they existed a several hundred years ago? Get ready to be tantalized! Knowing I am a romance author who writes stories set in the Regency, I am sure it doesn’t surprise you to learn that I am always looking for interesting places for my couples to enjoy each other’s company. A folly or a boathouse can be used to good effect as can a gamekeeper’s cottage as featured in The Gamekeeper’s Lady out this month. One thing one always has to keep in mind is that England can be cool, in winter and in summer and in between. 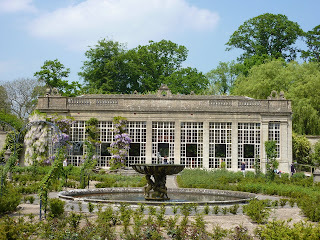 So if one wants to stray out of doors for a tete a tete, it might be wise to pick something warmer One thing that many country houses had in common during this period was the old hot-house for exotic plants. 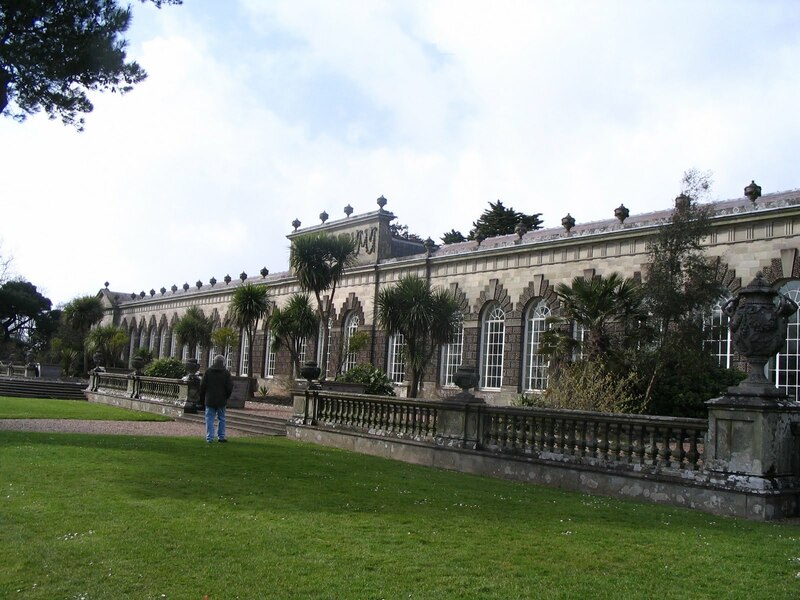 ﻿ These buildings became popular from the seventeenth century on. The Dutch invented them, but the British embraced them and anyone who was anyone had to have one. You can find them at many of the large country houses from that period. 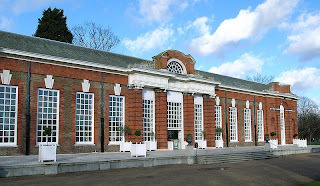 They go by several names, orangeries, for growing oranges and lemons, and the occasional pinery for growing pineapples. There were greenhouses or conservatories for growing everything else, including flowers. 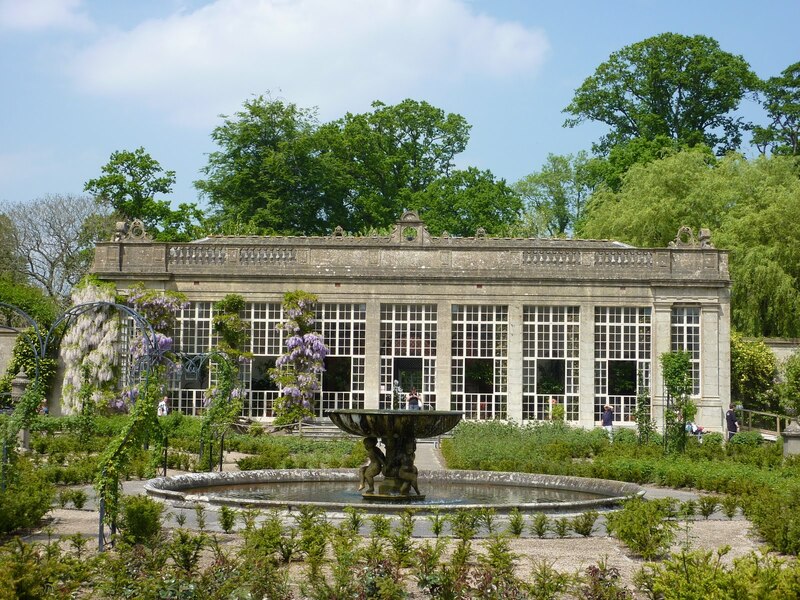 A pinery was a separate part of the greenhouse or orangery, where special pinery stoves provided sufficient heat for the tropical plant to produce fruit. A luxury indeed. Architects had a field day making these buildings both functional and beautiful. These then are all nice warm places in the winter. Yes, they have glass but they probably get quite misty with the warm air inside and the cold air outside. Wouldn’t you think? And after all, the architects would have expected their noble employers to enjoy such exotic surroundings and must have provided seating and benches, and alcoves within. No rake could be expected not to take advantage. What couple in love could resist. I have set at least two stories within the perfumed warmth of a conservatory. 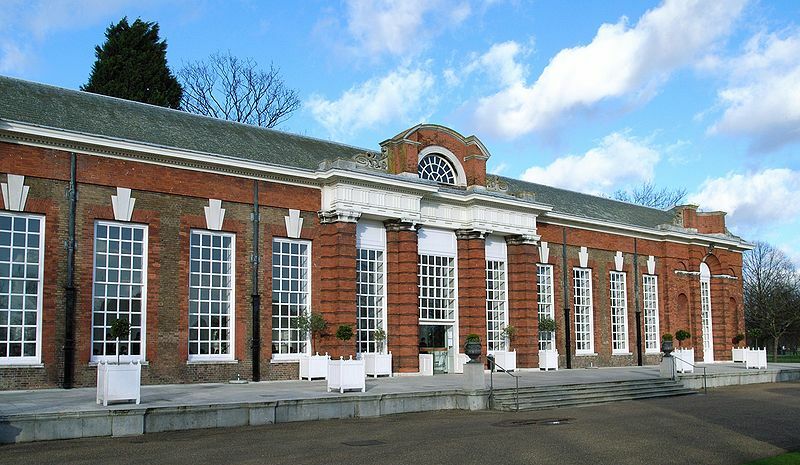 What other interesting nooks and crannies can you think of where our regency couple might find a few minutes alone? 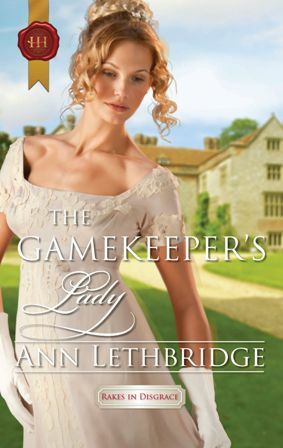 Ann Lethbridge writes for Harlequin Historicals, her most recent books, The Gamekeeper’s Lady and More Than a Mistress are in stores in April and May 2011. She was also invited to write a story for the digital Royal Wedding Series put out by Harlequin in celebration of the Royal nuptials of Prince William and Kate Middleton, taking place today, April 29th. 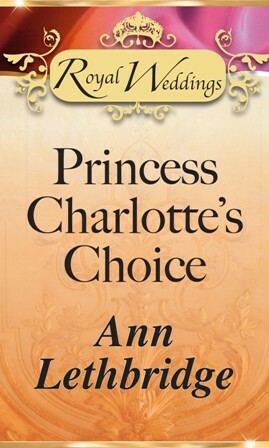 She chose to write about the Regency wedding of Princess Charlotte and Prince Leopold in Princess Charlotte’s Choice. Blurb: Frederica Bracewell grew up under a cloud of shame. As an illegitimate child, she was treated by her uncle like a servant. It wasn't until she encountered the new gamekeeper that shy, innocent Frederica started to feel like a true lady…. Lord Robert Mountford had been banished by his family. After a debauched existence, he reveled in the simplicity of a gamekeeper's lifestyle. Until temptation struck! Frederica's plain appearance and stuttering speech were a far cry from the ladies of the ton, but she might just be his undoing…and unmasking! Blurb: Charles Mountford, Marquis of Tonbridge, has long felt the weight of responsibility. He knows he must do his duty and take a wife. But when he's left snowbound with the unconventional Miss Honor Meredith Draycott, he finds that his inner rogue wants to come out to play…. Merry doesn't need a man—no matter how handsome he is! Sadly, society takes a different view. Charlie is more than happy to make her socially acceptable, but only if she acts publicly as his betrothed and privately as his mistress! She later discovered the Russian had only used her for a wager, so why does he still seek her company? And why does the air tingle with anticipation when they are together? Surely this rake cannot be thinking of following Prince Leopold's example and making a love-match? What a great article! I love the Regency era and love reading Regency romance. Hot houses have always fascinated me - the architecture, the plants, all that glass. The hot house could really be used in a Regency novel. Hi Angelique, I'm glad you ejoyed the article. I spent today glued to the Royal Wedding, I must say I was so happy to see all the horses after the ceremony, so much more romantic that the cars.